The hearings in Colombia's Special Jurisdiction for Peace will be held forhe crimes of kidnapping and forced disappearances. At least 32 former leaders of the extinct insurgent Revolutionary Armed Forces of Colombia (FARC) will appear before Colombia’s Special Jurisdiction for Peace (JEP), a judicial instrument created to seek truth and reparation for the victims of the country’s over-half-a-century long internal conflict. 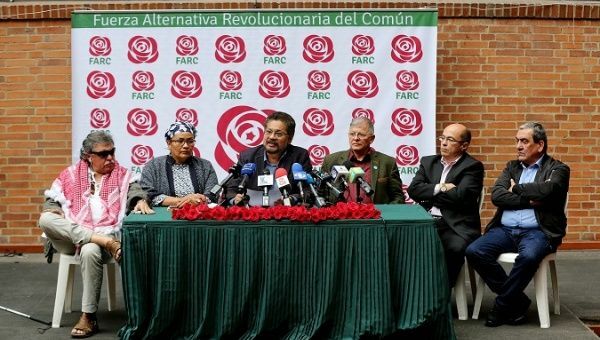 Among the former guerrilla members that will begin their judicial process are six of the ten legislators who received a seat in Congress as a result of the peace agreement signed between the government of Juan Manuel Santos and the FARC in 2016. These will be the JEP’s first hearings. Legislators Ivan Marquez, Pablo Catatumbo, Carlos Antonio Lozada, Jesus Santrich, Marco Calarca and Byron Yepes are a few of the former FARC members who will begin the accountability process for the crimes of kidnapping and forced disappearances between 1993 and 2012. Rodrigo Londoño, former presidential candidate and leader of the Common Alternative Revolutionary Force (also known as FARC) will also have his first hearing. The time span was chosen because it marks the FARC’s process of military expansion and the adoption of kidnappings as a modus operandi, and the prohibition of such practice in 2012. 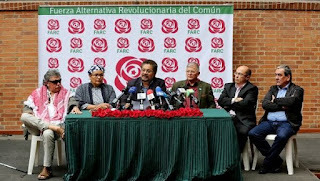 It is estimated that between 1993 and 2012 FARC members kidnapped between 2.500 and 8.500 people. According to the JEP, kidnappings by FARC members were carried out systematically to charge ransom, to pressure the national government and as a form of control of the civilian population. The court expects the people involved will provide information that will allow the identification of the places where the people who were disappeared or their remains can be found. Hearings for state security personnel involved in crimes during Colombia’s internal conflict have been postponed after president-elect Ivan Duque’s party, of the far-right Democratic Center political party, got enough votes for the creation of a special tribunal with new justices within the JEP.